Introducing Mateja Petje Energy Healing – Spiritual Counseling and Holistic Coaching International’s menu of services. These services include Energy Medicine and Emotional Freedom Technique, which is also known as EFT, as well as a technique called Reiki. Reiki originates from Japan. It encourages your emotional and physical healing. In addition Mateja also offers Spiritual Counseling. When you think about Western Medicine, first of all, these and other modalities are rarely discussed. As a result, the Traditional Western Medicine model doesn’t even recognize these particular techniques, meanwhile some have been in existence for millennium. The end result is these tremendously beneficial techniques are often overlooked and are never incorporated into the mainstream. Fortunately for my clients, after years of experience working in these areas, I can guide you and together we can implement these techniques! Now you can personally explore these various modalities with me. Then you can decide whether you want to add these fantastic healing techniques to your life. Energy medicine is both a complement to other approaches to medical care and is also a complete system of self care and self help. 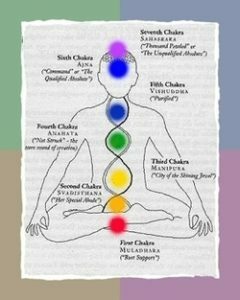 Utilizing energy medicine techniques you can address physical illness and emotional or mental disorders. It can also promote a high level of wellness and help you to operate at your peak performance. You can actually heal the body by activating its natural healing energies. Simultaneously you also heal the body by restoring energies that have become weak, disturbed or out of balance. To accomplish certain goals energy medicine uses techniques from time honored healing traditions. An example of these would be acupuncture, yoga, kiniseology and qi gong. A persons flow, balance and harmony can also be restored by using non-invasive techniques and it can also be maintained within an energy system. This restoration of flow, balance & harmony is achieved by tapping, massaging, tracing or swirling the hand over the skin along specific pathways such as meridians. Energy medicine is also used to treat illnesses and relieve pain. As a preventative measure it is used to stop the onset of illness as soon as it begins and it is used to stimulate immune function. But it is also used to relieve headaches, release stress, improve memory and enhance digestion. In addition it will also relieve arthritis, neck, shoulder and low back pain. 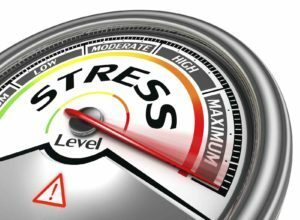 The Emotional Freedom Technique or EFT is an emotional version of acupuncture except you don’t use needles. Instead, a simple two pronged process is used. To begin, the first step is to mentally “tune in” to specific issues. The second step is to stimulate certain meridian points in the body by tapping on them with our fingertips. Ultimately the results are very positive when properly performed because EFT appears to balance disturbances in the meridian system. Often EFT reduces the conventional therapy procedures from months or years down to minutes or hours. Over a decade ago I became familiar with EFT in 2008. It was introduced to me by a friend of mine who was working with an EFT group. At the time I was dealing with some personal health issues. Unfortunately I had also developed a benign tumor. Instantly I was fascinated by this technique. Very quickly I was able to release negative emotions in the end it assisted me in shrinking my tumor along with proper diet and lifestyle changes I made. Later I was trained in EFT by Gwen Bowell who was directly trained by Gary Craig. From that point on I started using EFT in my therapy sessions. My clients also have had great success with this technique. That success has had a range from treating issues such as chronic depression, anxiety, tension headaches, and even muscle aches. 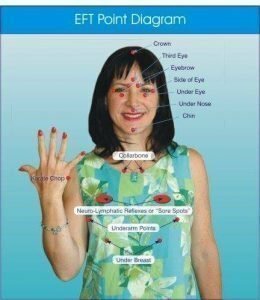 Ever since my initial introduction I have been successfully using EFT in my treatments now since 2008. Reiki is a form of alternative medicine. It was developed in 1922 by Japanese Buddhist Mikao Usui. Since originating in Japan, Reiki has been adapted into varying cultural traditions across the world. Reiki practitioners use a technique called palm healing or hands on healing. Universal Energy is transferred through the palms of the practitioner to the patient in order to encourage emotional or physical healing. It seems Spirituality and New Age Philosophy have become in vogue. However there is a big difference between a true gifted and a credentialed healer. My advice is to really do the research about a person’s background, training, experience and their credentials. I have had many unfortunate experiences with so called healers who are just looking to make a quick profit. Many people call themselves spiritual because they attend meditation, drumming circles and read books by spiritual teachers. I call them “intellectually spiritual” to be nice. True spiritual people can be identified by how they manage difficult emotions and experiences in their lives. In addition how they treat others, and most importantly, how they APPLY teachings in their daily lives. Great spiritual teachers such as Dalai Lama and Sri Sri have amazing peaceful energy and joy around them. Something like this cannot be faked. I was in the closet so to speak for many years because I was worried about being discredited. After all I was a licensed psychotherapist. Now I know that I was born with psychic and intuitive gifts & insights. The end result is I am highly intuitive when it comes to people’s energy and receiving inner messages. In the end there are different types of psychic gifts and I possess all of them. I was not even aware of these gifts until I started studying metaphysics in more depth. As a child I had recurring nightmares which was not very pleasant. Ultimately I had shut myself off until much later in my 30’s. This was when I learned more and also became more aware. Now I understand what these gifts and insights mean to me and my life. Clairvoyance – clear seeing. Clairvoyance is an inner seeing. One can see colors, symbols, or even aura around the person. Clairaudience – clear hearing; receiving messages without using ears to listen to the messages. 1. What is my purpose in life and how can I be of service? 2. Understanding the meaning of life? 3. Determine if there is a deeper reason behind why you are suffering? 4. How does the role of karmic connections play out with others and why do I feel good around certain people while I feel drained around others? 5. To improve my connection with God or a Higher Power whats steps would I take? In my sessions I use energy healing techniques, such as tapping and EFT or Reiki. I also do angel card readings for you to hear messages from your angels or to balance your chakras. Or I may simply use my intuitive gifts to guide you on your spiritual journey and help you manage your obstacles. It’s important to note here that spiritual counseling is not tied to any particular religion. I studied most of the worlds religions as a part of my Ministry Class that lasted over 6 months. When you talk about my own personal growth process I also studied Zen Buddhism, Hinduism and spiritual masters’ teachings. For quite some time I have always wanted to be a part of a community. Finally I believe I found one last year. It is called “The Happiness Program.” Many years ago I took the Happiness Program. Now I recommitted to the Art of Living daily practice. The good news is I’m blessed that my fiance has joined me on this journey. My intention is to also became a teacher of the Art of Living course too.